Can't find your filter size? Enter the dimensions below and we will find a match or provide a price to make it custom. Dominator® is a high-efficiency, low initial pressure drop, rigid cell produced in both 4" and 12" depths. Two efficiencies are offered in each depth: MERVs 11 and 14 in the 4" depth and MERVs 11 and 15 in the 12" depth*. In either configuration, the Dominator will improve fine airborne particulate removal while maintaining, or reducing, your energy consumption and costs. Glue Bead Adhesive Strips Stabilize Pleat Pack - Beads of adhesive applied to the media bond the pleats into a totally rigid, solid pack. The pleats hold their shape and the molded channels are held open for free flow of air in all types of operating conditions. No pleat deformation, no blocking off. Rigid Cell Design Handles Difficult Operating Conditions - Rigid cell design, all plastic components and 100% synthetic media make Dominator filters ideal for the most demanding operating conditions, including variable air volume systems, high air flow, turbulence, repeated fan shut down, high moisture, and some chemical or corrosive conditions. These filters are designed for tough installations. Full Media Exposure Produces High Dust Holding Capacity - The E-pleat design not only produces low resistance, it also allows the media to be completely exposed to dirt laden air. Dirt loads evenly over every square inch of filter surface area for maximum dust holding capacity and long service life. 100% Synthetic Media - Dominator filters are made with 100% synthetic media. It is extremely durable, resists tearing, abrasion and is highly damage resistant. No more media damage during shipping, handling or installation. Dominator media is also unaffected by exposure to moisture and some chemicals. This media is just plain tough. Underwriters Laboratories, Inc. Classification: Dominator filters are classified U.L. Class 1 per U.L. Standard 900. © 2019 Air Cleaning Specialists, Inc.
* Air Cleaning Specialists, Inc. is a distributor of Purolator Air Filters and not the manufacturer. Initial Resistance .07" .09" .14" .14" .27" .29" .20" .15" .22" .15" .24" .26" .18" .32" .31" .24"
Max Final Resistance 0.5" W.G. 1.0" W.G. 0.5" W.G. 1.0" W.G. 1.0" W.G. 1.0" W.G. 1.0" W.G. 1.0" W.G. 1.0" W.G. 1.0" W.G. 1.0" W.G. 1.0" W.G. 1.0" W.G. 1.0" W.G. 1.0" W.G. 1.0" W.G. MERV, or, Minimum Efficiency Reporting Value is a filter rating system devised by (ASHRAE) to standardize and simplify filter efficiency ratings for the public. The higher the MERV rating, the higher the efficiency of the air filters. 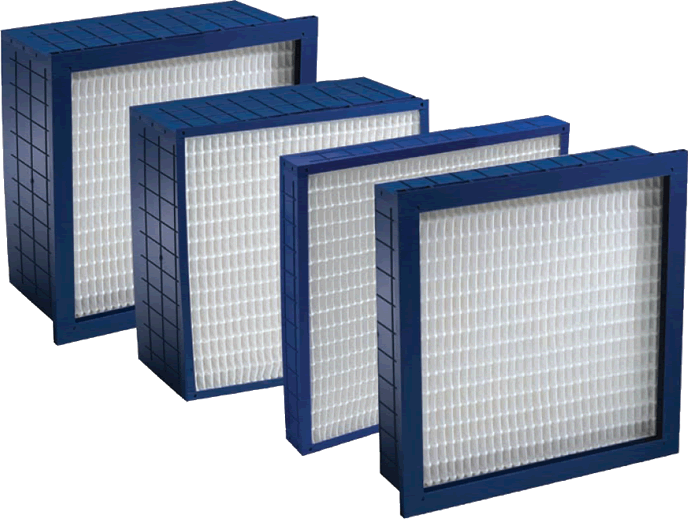 Simply stated, a MERV 8 filter will remove smaller particles from the air than a MERV 7 filter. A filter is often identified by its "nominal" size. This is the actual size of the filter, rounded up to the nearest inch. This makes the filters easier to find and compare. However, it does differ from it's actual size, which are the exact measurements of the filter. Also, two filters with the same nominal dimension does not mean they have same actual dimension. These dimensions can vary by manufacturer or even by filter model. The industry tolerance for these variances are +/- 1/8" for both the width and length of the filter.